Dwayne Johnson has a lane, and he’s rocked the hell out of it. Truth be told, it’s a lucrative lane: the affable action star has made good money off of, well, being an affable action star. But on Tuesday, with the announcement of his latest project, an adaptation of the African-American folk hero John Henry, Dwayne “The Rock” Johnson committed one hell of a lane violation. As CBS News reports, the reception to Johnson, a light-skinned, mixed race man, playing an undeniably black-American folk legend was incredulous at best. Johnson’s heritage isn’t exactly a mystery—he comes from a storied wrestling lineage that includes the legendary Samoan wrestler Peter Maiva (his grandfather), and Dwayne’s father, Rocky Johnson. 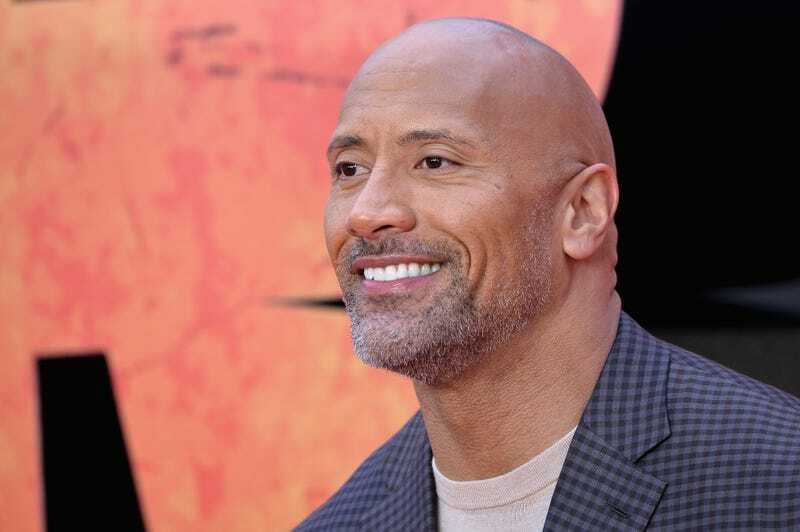 Dwayne Johnson himself has celebrated his father’s trailblazing career as a black wrestler who “broke color barriers” in the business. But acknowledging black heritage isn’t the same as identifying as a black man—and Johnson has never publicly done the latter. Even more pertinent, Johnson’s racial ambiguity has been a hallmark of many of his roles, which have rarely seen him explicitly portraying a black man (and to that end, being part of a black family). Which brings us to John Henry. Johnson has never been short on charisma, and certainly has the body type one would ascribe to the legend. But John Henry—the legendary steel-driving man who quite literally worked himself to death—is not an ambiguously black character. Nor has he been portrayed as such—many Twitter users noted that Henry was frequently portrayed as dark-skinned. Previous film adaptations of the legend starred Danny Glover (in the television series, Shelley Duvall’s Tall Tales and Legends) and Roger Aaron Brown (in the 1995 Disney film Tall Tale). And this doesn’t get into the cultural context of the John Henry legend, whom research suggests was based on a real railroad worker. According to one theory, the real-life John Henry was a former Union Soldier who was imprisoned for theft (likely, unlawfully) while working down South. “Henry” was leased, along with other inmates, to the brutal task of building railroads—a more accurate way to think of it would be de-facto slave labor. Knowing that framing deepens the resonance of the story, and frankly, any major adaptation deserves an acting and directing team that can mine that complexity. As it stands, the project will be directed by Johnson’s Jumanji director, Jake Kasdan. Yesterday, Twitter users floated actors like Spawn’s Michael Jai White, Luke Cage’s Mike Colter, and Black Panther’s Winston Duke as more suitable actors to play John Henry. Others said they wish the high-profile role would have gone to an unknown, rather than a man who can already command around $20 million for a film. Johnson’s own choice of words don’t provide much comfort that he knows the import of John Henry’s legend, specifically for a black audience. He shared news of the movie on his Instagram, where he hinted the movie would feature a collective of international folk heroes, with John Henry as the lead. “The legend of JOHN HENRY’S strength, endurance, dignity and cultural pride was instilled in my DNA at a very young age. My dad would sing ‘Big John’ to me every time he would put me to bed,” Johnson said. Nowhere in the post was the Henry’s blackness explicitly mentioned. There are plenty of things Johnson is a great fit for—movies about dinosaurs, movies about capers in jungles, movies with all matter of vehicles careening into various landscapes.